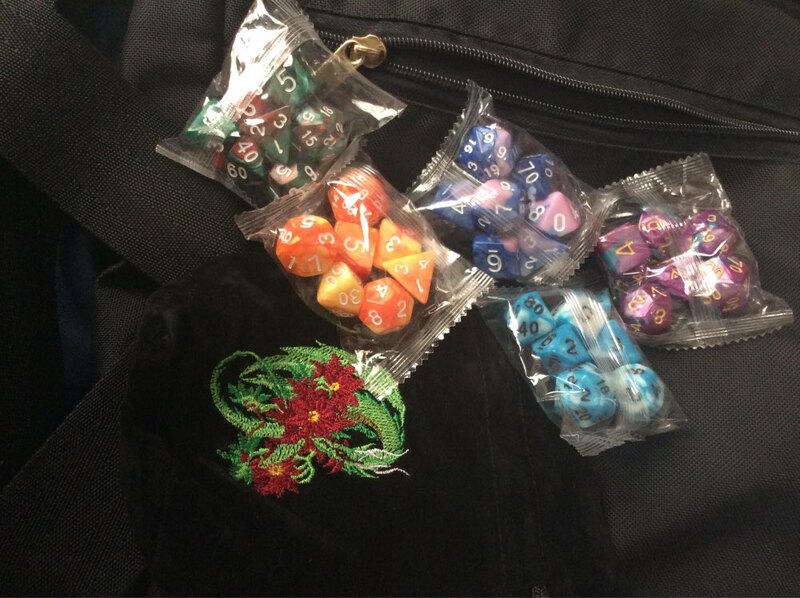 Embroidered Dice Bag + 5 Sets of Dice! 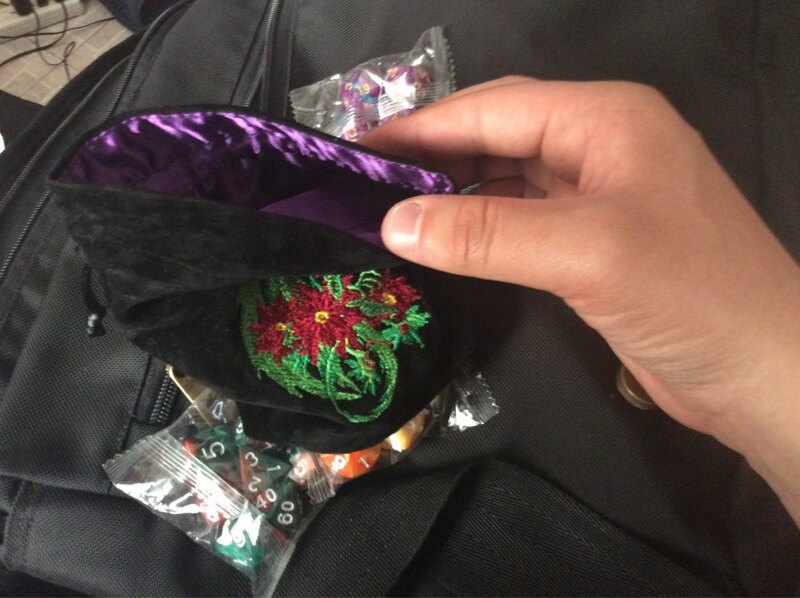 This beautiful embroidered dice bag comes complete with 5 sets of polyhedral dice inside, ensuring you're ready to roll in your next campaign. 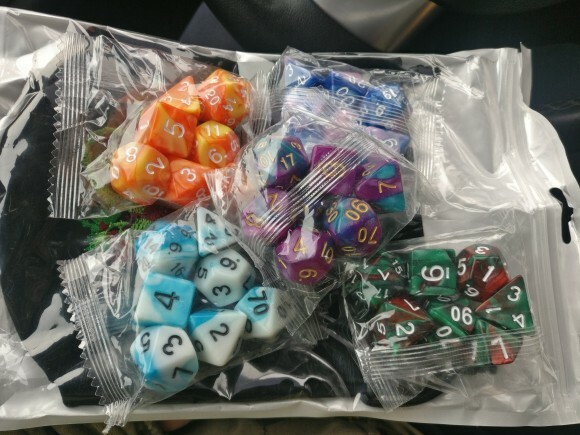 The product came to me faster than expected, and in extraordinary quality. Everything was just as described, and I am completely satisfied with every aspect of it!